I think it is about time to include CSS as one of the design element in the tutorials. The chances to get your blog or website stunning would depend so much on the process of integrating elements of visual design to your blog by CSS. As Web 2.0 begin to emerge in the beginning of 2006, many websites and blogs articles have been giving us clarity of how to visualize better Web 2.0 style. 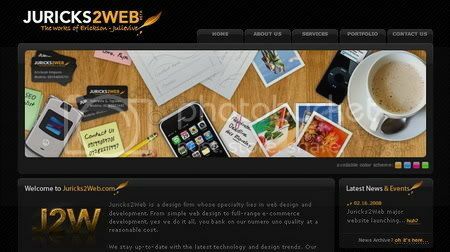 You will need to take a look of some Web 2.0 design resources before we get in to our today’s tutorial. When you use one of those resources, please credit the original designers for appreciation and read his or her design copyright before you apply them to your design. 1. Fonts and Typography – Big Size Text for Headings. The trends will however show you bigger text in order to improve functionality in layout design. Bigger text is more accessible to more people, and font sizes range between 14 and 16. The consequences of using big text, you have to make room by simplifying, removing unnecessary elements. There are also tendencies to have less contrast between text and background. Darker background would benefits users of new computer that has brighter screen. Round corner in web 2.0 sites seemingly polished to create informal invitation. This cozy form is chosen for comfort eyes when searching down from header to footer. Round corner generators should be easy for anyone who probably doesn’t know of how to use CSS or graphic application. Really a time saver! This CSS round corner will let your web page load faster, since you don’t have to add big size of image as background in html markups nor CSS techniques. It has the advantages to create more variation of FX, for instances: more options to use background color gradients, fading out some other sides of corners, more option to add sleek border FX, etc. If you notice carefully, color schemes in Web 2.0 genuinely consist of vivid colors to add more contrast over some part of page element AND shades of greyscale ranges from Shiny silver [#EEEEEE] to Shadows Grey [#36393D]. They are greenish, as it works like a charm on Techcrunch and Technorati. Flickr and Odeo Pink should be popular for star badges and icons. Bold and saturated blue as well as RSS orange are also common. Little bit red on Last.fm and Blog Catalog add up some spice to the pale white – grey background. The use of gradients, glossy and reflected effect is so much about Web 2.0 style, but being excessive with those effects could make your site gone out of focus. Bear in mind that special effect is good, but put it or use it for the right spot! Less is more and keeping it as simple as possible. The looks are simpler than the old times style. Again, I shall remind you to give some space to your website layout structure even if you have to use some of them. They are easy to create and even you’re not good to make one, internet provides you tons of links to download the files and they are ready to use. Find some of cool buttons, badges and icons on the Web 2.0 resources. Design Style Tutorial: SIMPLICITY IN WEB 2.0 (Part 2) is now live! Visit the page for the CSS background positioning tricks! Time to get your self warm up now! New events are likely get you to exercise into rounds of enthusiastic battle of DESIGNATHLON competitions. :D Don't get confuse to what I'm trying to say. DESIGNATHLON is just a dummy term to describe what's going on here. There are two design competition events that I've been following recently. 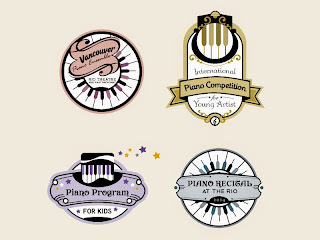 Held on Logo Design Love and Vandelay Website Design, I think if you could watch these competition it would be as fun as watching a game competition. You don't have to sweat to create and submit your hell of astonishing design, because all you have to do is to vote. You will be the judge reader along with other blog readers across the globe to choose some of the design entries as your most favorite design. Enough with the chit chat let see what you can do ;)! There are 10 award categories of logo submission. As well as an outright winner decided by the judges, you are also invited to vote by leaving comments on the individual category posts. Add a comment below every post category as your favourite design (or 1st, 2nd and 3rd favourite). Once all categories have been published, the votes will be counted and the final round featured . Categories already published are hyperlinked. The remainder will follow very soon. Find these 10 logo design categories and start your votes now! The Blog Design Madness competition is now officially underway! There are 64 blogs that have been chosen, and the participants are all listed in this post. Because each competition requires a separate poll, Vandelay Website Design needs to break up the first round into 2 parts. There are 16 matchups in this post involving 32 outstanding blog designs, and the second half of round one will come in a few days. Each matchup includes a poll, links and a screenshot of both blogs. Vote for your favorite blog on Blog Design Madness: Round One now! Reddit’s environment is not so much different with another social media website which gives you way to click for a vote. This kind of environment is absolutely perfect for a blog article which has interesting headline. Another thing is Redditers can actually spice up the article’s headline submitted to draw more attention. Regardless to all the pros and cons, Reddit encourage the Redditers simply to vote the article submitted and hardly can find a way to visit or even to revisit if you get lucky enough for a precious visit. Analyzing your stat would probably help you to figure how each of your referral websites performed to your blog. A popular article submission in Reddit, can stay on the front page for approximately the maximum time frame of 24 hours or less, after which it’ll move in the second page for a while, before slowly falling down the ranks. A short blast within hours or a day, and no guarantee of follow up actions in return. This is what so called: “A perfect example of high bounce rate in Google Analytics”. Huge traffic is what all bloggers eager for. The kind of traffics that you need would be so much depending to the blog that you maintain. If you blog about money or primarily run some advertisement programs, to get high exposures to your blog is the reason why you should bother with Reddit. Anticipate nothing more but merely high exposure in one or two days. However, there is an interesting case study which is done by Maki of doshdosh.com. Maki has been projecting formulas to bring long term perspective or growth plan based on his research upon a Redditer fellow’s submission materials. Reddit was my first experiment of using social media website to promote my early articles. My blog visitors ranged only 20 to 50 for the whole day that time. As a newbie, I was so careless of not spare some times to read useful tips from more experienced Bloggers. Although I got boost of traffics from Reddit, the experiment was turning into something bad! I thought it was okay to submit my own article to Reddit, well this was a huge mistake because most of the Redditers hate it. Unlike Digg, Blog Engange, or Design Float which have more flexible submissions guideline’s rules, the Redditers can easily blacklist your domain or website when you do repeated self-submissions/promotions. As a social media website, Reddit is a giant community ever. If you only care about numbers of traffics and nothing but traffics, then you are a typical Redditers. When you determine that a well targeted traffics and readers as your main concern, I think you may start to think another way besides just using Reddit. Everyone who thinks of long term growth progress should always agree if this community is not even worth to be sticked on. That is why (in my personal opinion) I’ve seen lots of high profiled Bloggers only focusing to Digg, Stumble Upon or Del.icio.us for promoting their blog. See how Bittbox attracts the readers to do the socio bookmark favor by using three kind of socio bookmark buttons (Digg, Stumble Upon and Del.icio.us) and so does I Love Typography which uses 4 buttons only (Del.icio.us, Digg, Facebook and Stumble Upon) to avoid the clutters. A Digg user clicks the digg button as a way to vote your article, but believe it or not, Digg’s environment will bring you more valuable traffics than Reddit. Jacob Cass described this in his article: What is the best social media website? Digg, SU, Delicious, Reddit … or? Are You a Typical Redditer? This article is a submission for Vivien’s Social Media Group Writing Project, something that may be useful for you to learn more about Social Media Websites. Photographers and Designers need a social media website that would help their artwork visually targeted. Flickr has the powerful tool to bring a visual masterpiece uncovered to the millions of viewers. If you’re a photographer or a designer who blog, why not starting out a Flickr pool? It would be wonderful to include a bit of interactivity with your readers. Besides promoting goal, A Flickr pool is an excellent media, where you can discuss and learn from others. I’ve already joined some of Flickr Pools which is Bittbox User Showcase and another design contest event called “What is Graphic Design?” held by Veerle’s Blog. After I’ve submitted some of my graphic designs into the group pools, I begin to have more amazing Flickr contacts, receiving comments and some Flickr members adding my designs to their favorite list. To me, Flickr is like a huge design reference collections where I can find inspirational works of visual art and meet the man behind those masterpieces. Before we jump to the main topic, I also would like to let you know that I’ve started Graphic Identity Design Showcase pool. This is a group where you can showcase your graphic design after you adapting some of my Free Design Box items as part of your artwork. In the mean time, I’ve manually submitted some of graphics which are designed using one of my Photoshop Brushes series. They are actually a group of great deviants and I would love to see more in the future. You are always welcome to join this group and feel free to add your profile or blog URLs in the comment box! A nice screen name URL should be potentially easy to remember and to identify. Otherwise, you’ll be a forgotten by the group members. 2. If you think that your photos or graphics are sorts of valued assets, manage the usage rights under a “Creative Commons” license. Hence, everyone will need to pay attention to usage rights if they want to use your photo in a publication. 4. Watermark your photos with your blog URL or anything that would relate to your profile. I’m doing this from the start, and actually a spruce idea to send more direct visits to your blog. 5. Tags your uploaded photos because tags make it easy for you to find your photos later on when you have tons and tons of photos. When you upload photos, there is a little box where you can enter Tags. There is also a space to enter tags on the right on each photo page and you can add tags when using Flickr Organizr. Just type some words relevant to the picture, with spaces in between, like "sky park dog blue grass green". I'm always be the proud member of Blog Catalog.com and when they first launch the Group feature, I did my best to create the first “Graphic Design” group in Blog Catalog. I personally send a grateful thanks and salutation to the Blog Catalog admins who has done such a brilliant job to bring this community stands out!!! At the footer section of my blog, you can find Blog Catalog Graphic Design Group widget installed and it was founded in October 2007, now we have 145 members and growing. This is something that I really wish to have from long time ago. I think it will be fun to read new discussion post every time I’m online, directly from my blog. Another slightly way to call this widget as a mini forum is what I’m intend to do for Graphic Identity blog. All of my blog readers can also join the Blog Catalog Graphic Design group just by jumping from this cool widget since the membership is open for everyone. I’m not a full time freelance graphic designer yet, but by putting this up I hope it would help other graphic designers to show their talent in portfolio links in the forum. Well if you need a graphic designer, you know where to find the person. Feel free Submit your feed url in the discussion. You can also do the exchange if you think you can find some mutual information from other group member’s blog article, therefore it would be useful enough for you to subscribe back. I would also want to let you know that starting in April, I will select the top five active users in the group to be featured in my blog on biweekly round up of links love. All you have to do is just comment to the discussion thread, or post new discussion. Each of the top five active users will get their latest post reviewed and linked to my blog. Another thing that I will do is to have each of them submitted to designfloat.com and graphic-design-links.com to help sending more traffics to the featured blogs :D. If you don't have a blog about graphic design, I will still do the promotion for the featured blogs to digg.com and stumbleupon.com. So what are you waiting for friends! Join Blog Catalog Graphic Design group and get the dynamic vibes by installing the widget to your own blog now! The vectors are free to download for commercial or private use, but keep in mind that the vectors pack is officially can only be downloaded from GRAPHIC IDENTITY blog. Please read Graphic Identity Legal Usage before you download it. Please give your comment (feedback) for whatever it is, or share the permalink with feed flare or Add This button if you like! Just don't forget to subscribe as well, so you won't miss any updates of the next Free Design Box from Graphic Identity! I hope you like this Fire Fusion Vectors - Part 1 design pack :D, and enjoy! 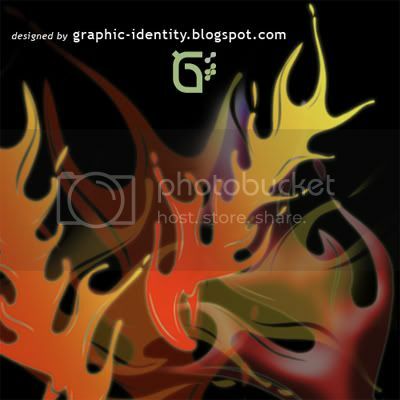 Do you know that Graphic Identity blog is actually using free Photobucket service to host all images and photos??? Today, I'm going to show you why I choose to use Photobucket instead of Blogger's default image hosting. What do you get and what you can do after you upload your image and photo to a Free Photo Hosting Service. What is Favicon? Favicon is Favorite Icon displayed on your browser tabs and at the left hand corner of the URL address bar. In my previous post, I have shown you a step by step tutorial of how to use Favatar to have your own favicon hosted. As an alternative, you can also use free photo hosting service. The image for website Favicon can be made in any size, but for better result, I suggest you to create square cut. Simply put this code below < head > tag, and change the url with the one you get after you upload your own image! This kind of feature is a standard for most free photo hosting service. Now on Photobucket, you can edit any photo or images easily, such as cropping, rotating and even flipping. And if you don’t like how you looked that day, just try the beauty portion where you can remove blemishes and even smooth out wrinkles. Don’t worry about adding too much to your photos, your original will be safe. You can choose to save a new copy or overwrite your original. Why tagging your image or photo is important? It is a must do if you have a photoblog and you want your post to be fast indexed in most search engines. Image and photo can only be recognized with search engine system if you put "alt" code tags as a label. Free photo hosting service usually provide this feature automatically after you finish the upload by asking you to fill the right tags. So you won't need any coding customization for your photo and image anymore. Free photo hosting services always have sharing urls and "mail to friends" option. But Photobucket service give you various options in sharing your images. You can share them in a slideshow! Its fun and easy with our new slideshow tool. Display up to 50 photos to any slideshow, add a frame, and share. You can email your slideshow or add it to your blog or profile page. And if you want to email photos from your phone into your album? Click on "account options" in your album to get the unique email address for you album. and emailing photos from your phone just as easy as 1-2-3! What kind of free photo hosting service that you use for your blog? Share with us why you like to use that service! “Graphic Design” is not that hard to imagine. When you start typing words using your keyboards, graphic design could give you tremendous outlines to your imagination and actually you are unconsciously experiencing it in every single day of your life. You see it, you touch it, you need it, and you feel it! The first Group Writing Project that I have entered came up with wonderful selected articles. Jacob Cass was organizing this cool group writing contest nicely.If you’re one of the Graphic Design lovers, I send a bit of warm invitation for you to read the articles, socio bookmark, to link up and subscribe! I tried to categorize these articles so it would help you to grasp the headlines a little. Please correct me if somehow I made some mistake in sorting them. Enjoy! How Far Will Your Blog Graphic Design Bring You? - Submitted by Dexter. 8 Things That Intimidate Me About Graphic Design - Submitted by Ronald on Viviens Blog. Which one of those articles is your favorite? Drop your comment and share this post if you like :D! FeedFlare.ca has been launch just over a month. Collin, the owner of this fantastic Feed Flare community site has starting out a grand opening contest with total prize packages are worth just over $5200.00 (cash value) plus the 25,000 Entrecard credits. I have informed you in my previous post that Graphic Identity blog has been taking part to sponsoring Feed Flare first contest. One of these prizes might be yours if you become one of the lucky winners of this amazing contest! 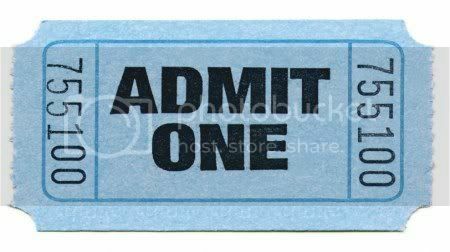 Bonus gifts - we have 200 pages on the “One Buck Wiki”; to give away - the first two hundred contest enterer’s will be each given one page as a bonus gift just for entering our grand opening contest.You will still be able to win any of the other prizes we have as well. The current selling price for a page on the “One Buck Wiki”; is $20.00 making this our largest prize package worth over $4000.00 in cash value. Featured Grand Prise = $500.00 cash payable via PayPal with the draw date being March 31st. You can thank my nice income tax return for this prize!!! This event will be fun to enter and made simple so you can join anytime! To join the contest is always easy! You can read the details at Feed Flare contest announcement post and submit your entry fast! Have fun and take your part! Been very busy with things to do on February :D, so this post kind of hold up a bit. These Blogspot blogs just grabbed my attention for the first time I saw them. You know I love to catch a glimpse on paintings and artistic illustrations and sense the story behind them. So today, the reviews will include 4 Blogspot blogs which has crazily updates their post with breath taking arts and illustration. Buckle up guys! Guga is the the author for Dot Dot Design blog. He is enjoying life by featuring wonderful list of designs, beautiful things and wonderful stuff at Dot Dot Design blog to the internet audience. 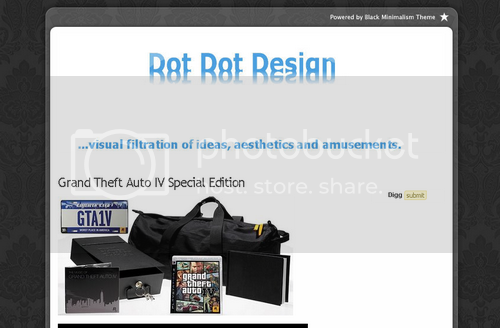 …visual filtration of ideas, aesthetics and amusements. Dot Dot Design now appears with minimalist single column blog theme. Guga tends to carefully pick design photos or graphic illustrations for his blog every day. Pop and intuitively Innovative-Creative is his personal taste I believe. :D Guga, correct me if I’m wrong! Do you like it? hate it? You are all invited to post a comment to Dot Dot Design blog. M Fayaz is a 23 years old digital artist from Maldives. Marvelous header and design layout that will make you scrolling down for more is the first impression I got when I’ve visited M Fayaz Blog. He is also good in designing Blogger template! Just link back to M Fayaz Blog. Noelevz is the man behind the Designer Depot blog. One thing exceptional about this blog could be the insightful interview with some high profiled digital graphic artists from all over blogoshpere. Designer Depot is also an Entrecard advertiser with very good advertising rate now. That means a guarantee of high traffics activity when you decide to buy Entrecard advertisement spot from Designer Depot. Fossfor is an illustrator artist from Belgium who loves to share excellent graphic arts in her blog. Her collections mostly about cartoons character illustration. Another blogs of her is Fossfor’s Laboratory . This blog is devoted to painting and drawing. You will find advice, resources, techniques and examples as well as links to other artist bloggers and sites. Enjoy and bookmark these lovely blogs now! Do you know any other Blogspot Design Showcase that I can visit to? 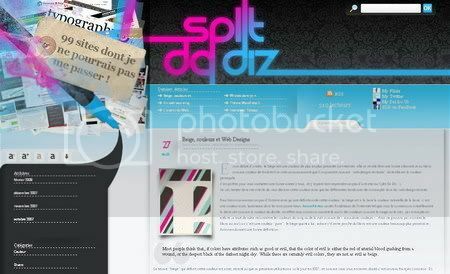 or you simply want your graphic design blog topic to be featured also at Graphic Identity. Feel free to comment, or email me at graphicidentity.blog@gmail.com.